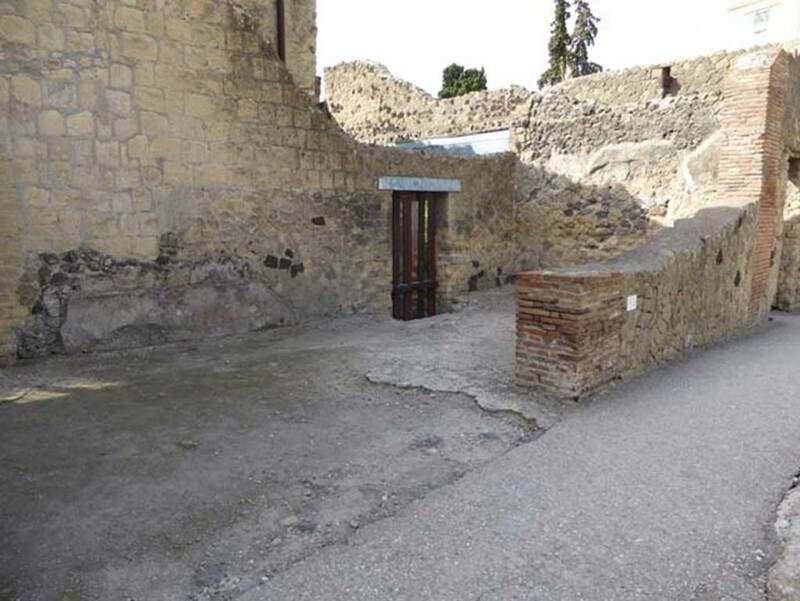 According to Maiuri, this large shop had two doorways from the Casa into the shop, one directly from the atrium and the other from the rear of the house. 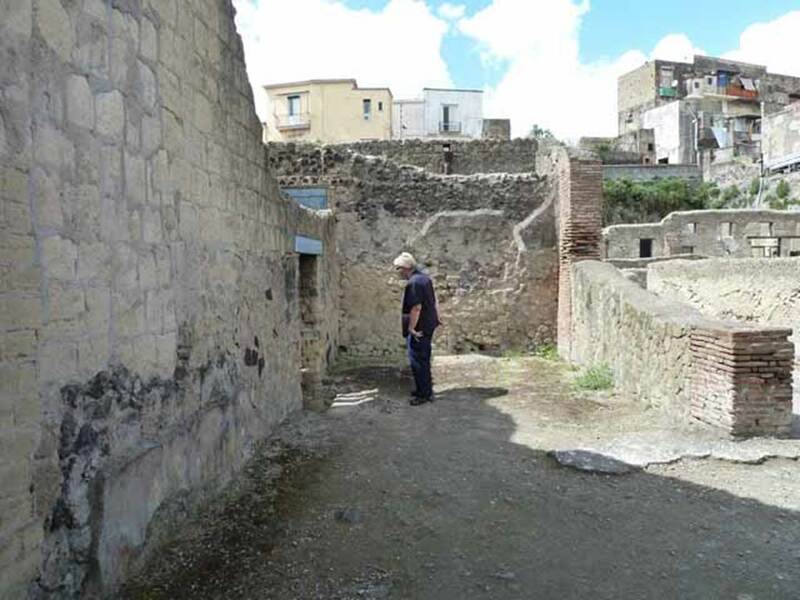 III.8 Herculaneum, July 2015. Looking south to entrance doorway to shop, with two doorways from the Casa del Tramezzo di legno in the south wall of the shop. Photo courtesy of Michael Binns. 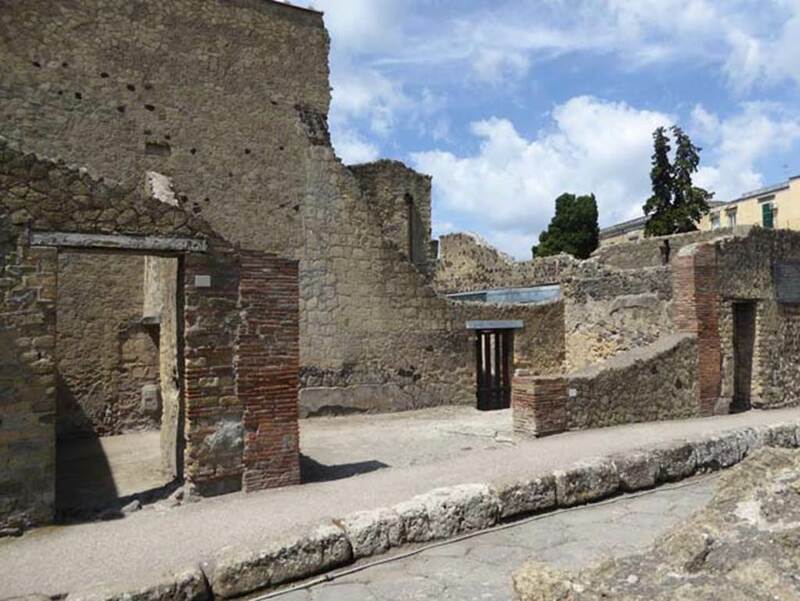 III.8 Herculaneum, in centre, July 2015. Looking south-west across entrance doorway of shop. III.9 is on the left, and III.7 on the right. Photo courtesy of Michael Binns. 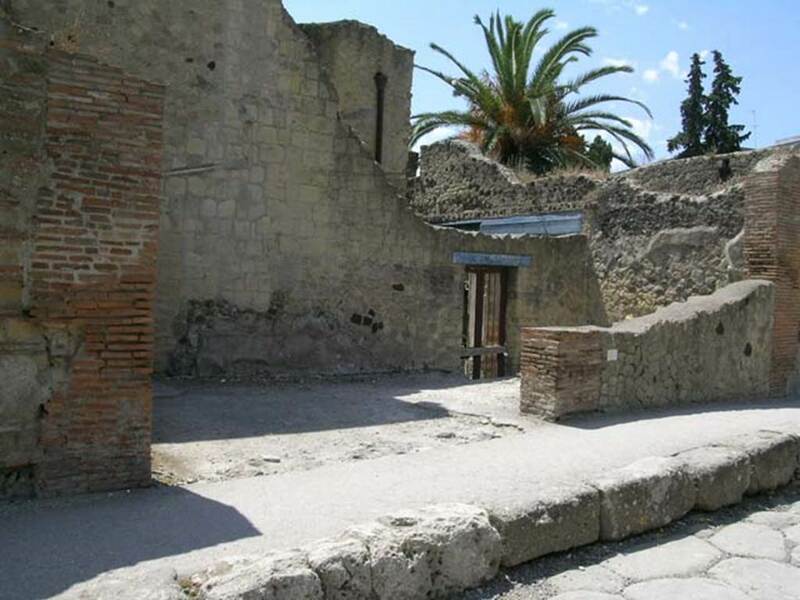 III.08, Herculaneum, May 2006. Looking south-west across entrance doorway of shop. III.8 Herculaneum, October 2014. Looking south-west across entrance doorway of shop. Photo courtesy of Michael Binns. Looking north-west out of entrance doorway of shop, on the north side of Ins. III onto Decumanus Inferiore. 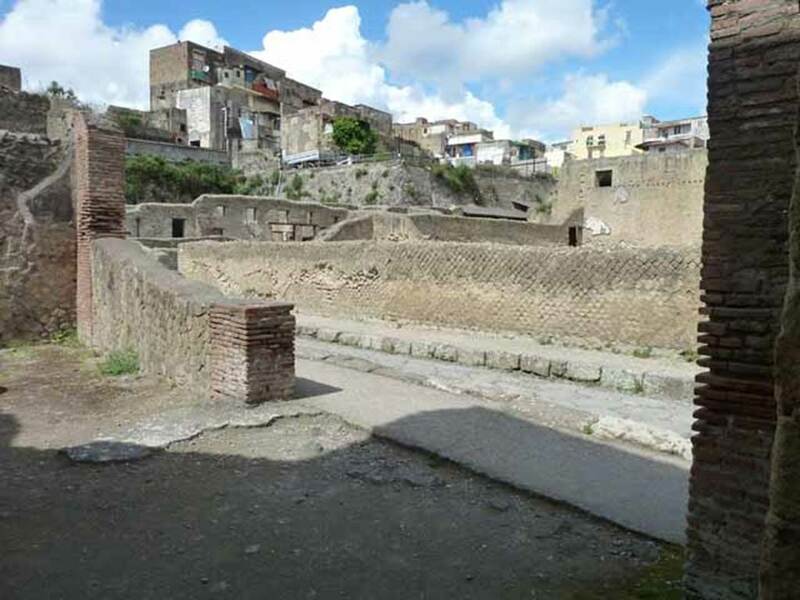 III.8, Herculaneum. May 2010. Looking west along interior. 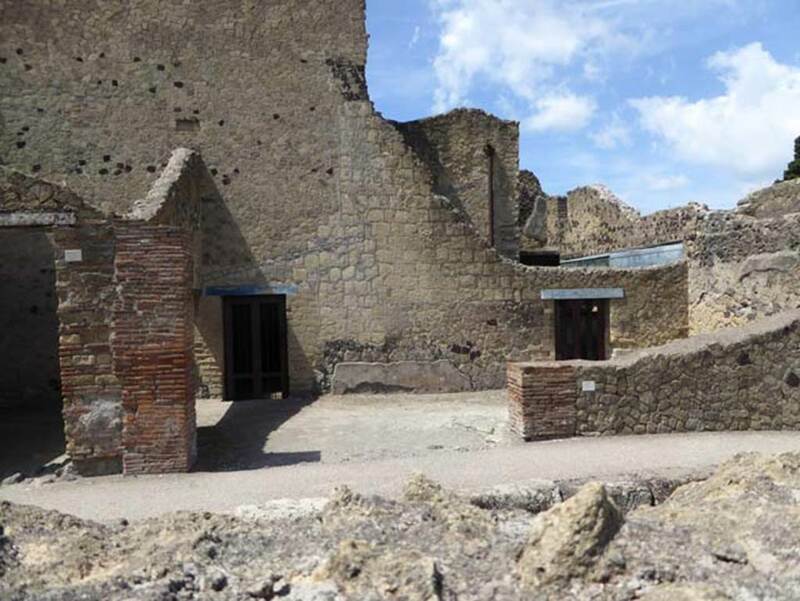 III.8, Herculaneum. May 2010. 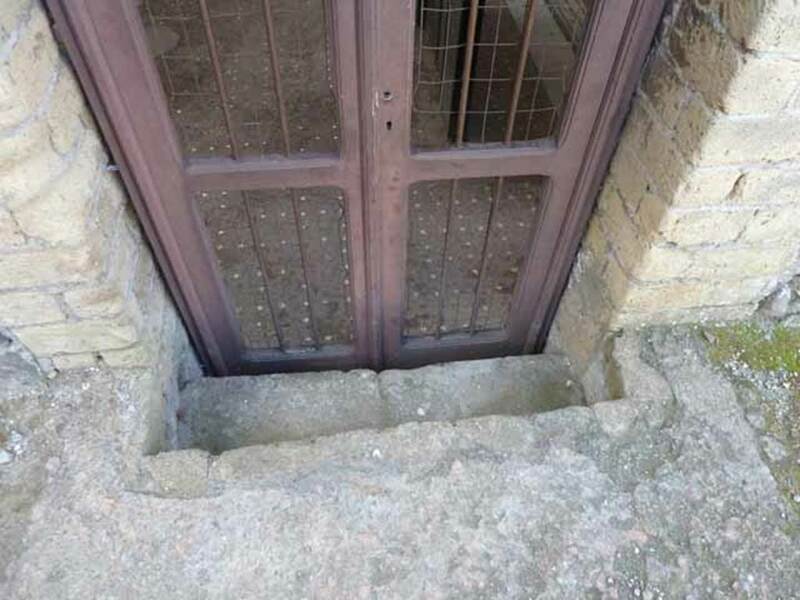 Doorway with steps down into rear of III.11.